Button-downs. Button-ups. Oxfords. Blouses. No matter what you call them, we all have them (or 20 … or 50). My button-downs are heavy-hitters in my wardrobe; I find they’re infinitely versatile and can somehow manage to look pulled-together — perfect if for your day job — or casual, which is what I usually lean toward. Printed, striped or solid, they’re all on display in my office because once the cooler months hit, they’re what I reach for consistently. I like them even more than T-shirts and sometimes (gasp!) sweaters because they skim over parts of my body I don’t want to exaggerate but they still give me shape. What’s one style of clothing you have a lot of in your wardrobe? 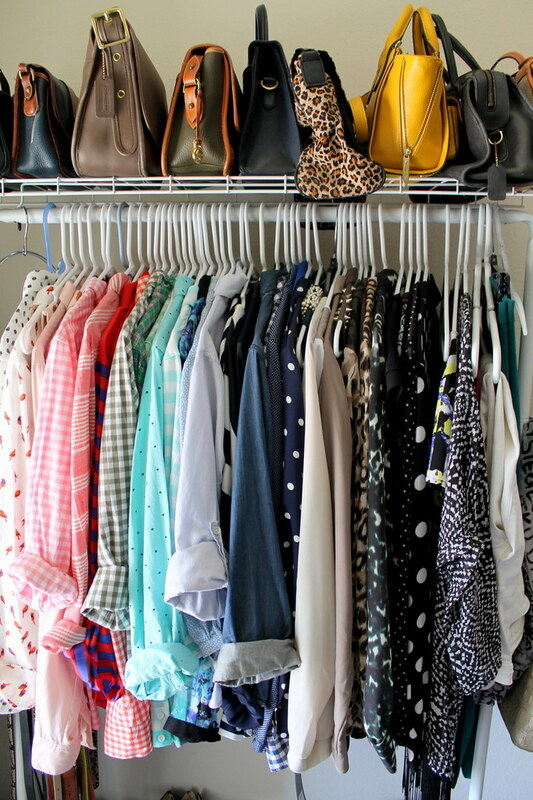 Are you like me and have way too many button-downs? Skinny jeans? Cardigans? Tell me below in the comment section!